Copyright © 2019 FIDO Alliance. All Rights Reserved. Note: Authenticators can implement minimum PIN lengths that are longer than 4 bytes. Platform checks the byte length of "newPin" against the max UTF-8 representation limit of 63 bytes and returns CTAP2_ERR_PIN_POLICY_VIOLATION if the check fails. Authenticator decrypts newPinEnc using above "sharedSecret" producing newPin and checks newPin length against minimum PIN length of 4 bytes. Authenticator may have additional constraints for PIN policy. The current spec only enforces minimum length of 4 bytes. Platform checks the byte length of "curPin" and "newPin" against the max UTF-8 representation limit of 63 bytes and returns CTAP2_ERR_PIN_POLICY_VIOLATION if the check fails. Authenticator sets the retries counter to 8. If "up" is set to false, set it to 0x08 (dont-enforce-user-presence-and-sign). A transaction is the highest level of aggregated functionality, which in turn consists of a request, followed by a response message. Once a request has been initiated, the transaction has to be entirely completed or aborted before a second transaction can take place and a response is never sent without a previous request. 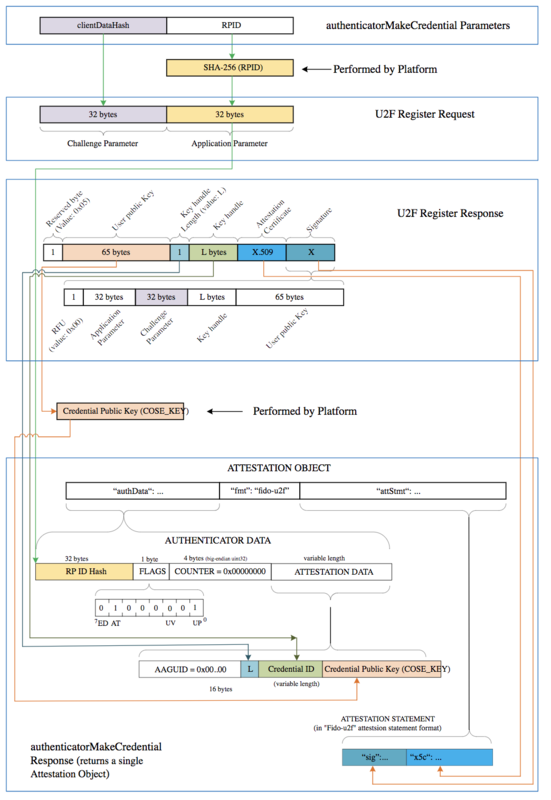 Transactions exist only at the highest CTAP protocol layer. The request and response messages have an identical structure. A transaction is started with the initialization packet of the request message and ends with the last packet of the response message. The client starting a transaction may also abort it. The application channel that manages to get through the first initialization packet when the device is in idle state will keep the device locked for other channels until the last packet of the response message has been received or the transaction is aborted. The device then returns to idle state, ready to perform another transaction for the same or a different channel. Between two transactions, no state is maintained in the device and a host application must assume that any other process may execute other transactions at any time. If an application wishes to abort a command after the request has been fully sent, e.g. while an authenticator is waiting for user presence, the application may do this by sending a CTAPHID_CANCEL command. Cancel any outstanding requests on this CID. If there is an outstanding request that can be cancelled, the authenticator MUST cancel it and that cancelled request will reply with the error CTAP2_ERR_KEEPALIVE_CANCEL. 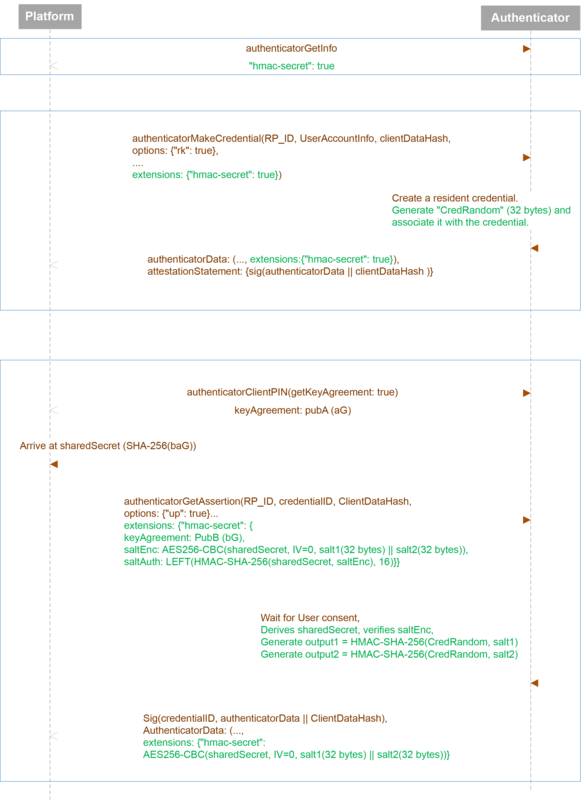 As the CTAPHID_CANCEL command is sent during an ongoing transaction, transaction semantics do not apply. Whether a request was cancelled or not, the authenticator MUST NOT reply to the CTAPHID_CANCEL message itself. The CTAPHID_CANCEL command MAY be sent by the client during ongoing processing of a CTAPHID_CBOR request. The CTAP2_ERR_KEEPALIVE_CANCEL response MUST be the response to that request, not an error response in the HID transport. A CTAPHID_CANCEL received while no CTAPHID_CBOR request is being processed, or on a non-active CID SHALL be ignored by the authenticator. This command code is sent while processing a CTAPHID_MSG. It should be sent at least every 100ms and whenever the status changes. A KEEPALIVE sent by an authenticator does not constitute a response and does therefore not end an ongoing transaction. If the authenticator implements CTAP1/U2F, the version information SHALL be the string "U2F_V2", or 0x5532465f5632, to maintain backwards-compatibility with CTAP1/U2F-only clients. 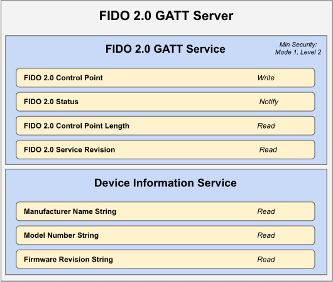 If the authenticator ONLY implements CTAP2, the device SHALL respond with "FIDO_2_0", or 0x4649444f5f325f30. If the authenticator implements both CTAP1/U2F and CTAP2, the version information SHALL be the string "U2F_V2", or 0x5532465f5632, to maintain backwards-compatibility with CTAP1/U2F-only clients. CTAP2-aware clients may then issue a CTAP authenticatorGetInfo command to determine if the device supports CTAP2 or not. 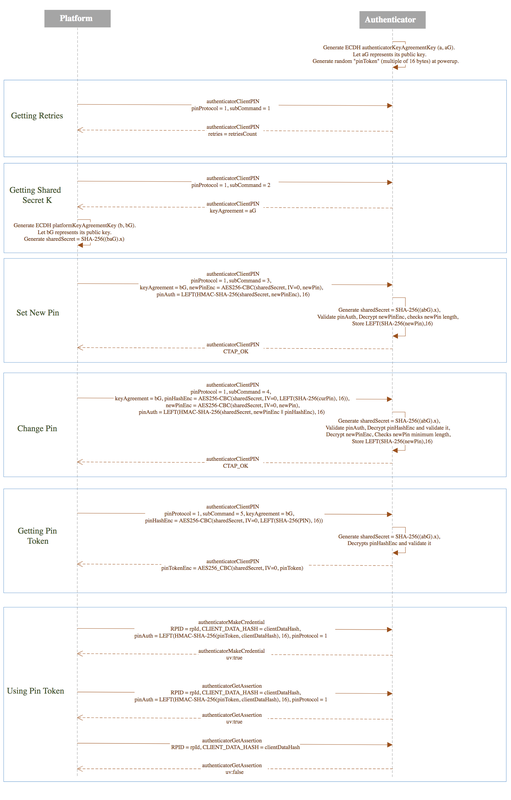 Conceptually, framing defines an encapsulation of FIDO2 commands. This encapsulation is done in an APDU following [ISO7816-4]. Authenticators MUST support short and extended length encoding for this APDU. Fragmentation, if needed, is discussed in the following paragraph.